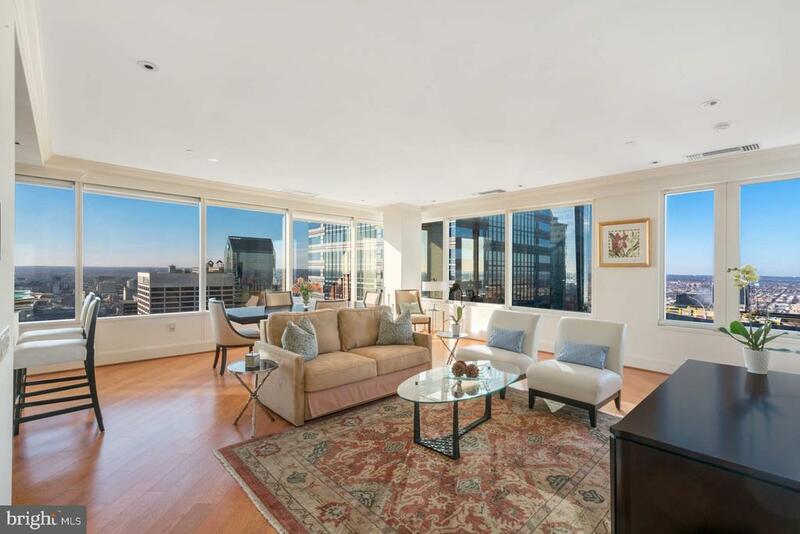 Located in the heart of the city this exclusive condominium is the largest 1 bedroom unit in Philadelphias premier residences at Two Liberty. Gorgeous hardwood floors line the foyer leading you past the laundry room and powder room into an oversized open living and dining room. South and east facing windows provide elegant views of the city and glorious natural light throughout. The kitchen is outfitted with sub-zero Miele appliances, a large breakfast bar, and Italian cabinets. The master suite has a generous bedroom, walk-in closet, sitting area and bathroom with double vanity, large glass shower and jetted tub. As a resident of Two Liberty enjoy access to the fitness center, pool, sauna, white-glove concierge services, valet parking and 24/7 doormen. Amazing shopping, dining, art and culture all an elevator ride away from your door!